Customer relationship management is one of the most valuable tools a business can have – after all, the customer is king. Customer relationship management empowers a business to deepen customer relations and track and maintain customer data, thereby improving customer satisfaction, service and loyalty, boost sales, save money and grow the business. A customer relationship management tool organises customer relations and places everyone in the company on the same page when it comes to customers. It should therefore be chosen carefully to suit the business’ unique needs and set-up, and have buy-in from all relevant employees to make it work. Everyone must know who the customer is, which products and services he or she have bought in the past, and in which products and services he or she might be interested in future. The Customer Relationship Management Tool can also be used as a tool to keep track of the admin side of things. All contracts, invoices, receipts and electronic communication can be effectively managed and collected in a single place. Is the product/software flexible – can the company adjust it to fit to their processes? Can the software be configured to on-demand web-based solutions? Will it perform as required? Does it have the necessary front end screens or portals to enable you and colleagues to collaborate? Does it have the scalability to grow with your business? Will your employees be able to learn to use it without major disruptions and training costs? Have you considered the long-term costs such as implementation, training and troubleshooting in addition to the long-term costs? Are you sure what is included in the price and which extra costs there may be? Have you considered system integration, software customisation and additional equipment e.g. devices and servers? Do you want to use an on-site system, where software is housed on your server, or off-site as a cloud-based or software as a service (SaaS) system? Thin or thick clients – do you need the software on your device when you are out of office or do you need dial-up using a browser? How much mobility do you require – laptops, tablets or smartphones? If you choose the off-site option, are you comfortable with using a third party? Microsoft Dynamics CRM (CRM) is a business solution that drives sales productivity and marketing effectiveness through social insights, business intelligence and campaign management. Reduce costs, increase profitability, nurture customer satisfaction and build loyalty in the sales, marketing and customer service fields. Do you have the buy-in of at least one top-level executive? 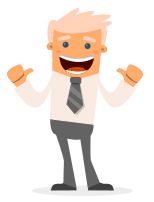 This person needs to champion the Customer Relationship Management Tool so that the whole company can get behind it, and have support in getting to know how to use it. Do you know how the different departments generate, store and access data so as to find the best way to implement the solution without changing their systems too much? Do you have a checklist from all the different departments to make sure that the customer relationship management tool is a tailored solution that will accommodate and fulfil all their needs? Do you have benchmarks in place against which to measure the success of the solution? Does the vendor have a long and dependable track record? Are their financials strong, if available? Do they have case studies to prove their successes? Are they a specialist in the field? Do they only operate in one field? Is their computing platform compatible with yours? Do they domain expertise in your business area? Which professional services do they have on offer to help you get on your feet and up and running? Do they have partnerships with companies like Microsoft Outlook to work with your customer relationship management solution? To get the most out of your Customer Relationship Management Tool, make sure you have the buy-in of all employees. Have management set a top-down example of using and promoting the system. Appoint a champion who has a comprehensive knowledge and understanding of the system. Besides encouraging employees to buy into the system, you can further motivate them by offering rewards and incentives. Makes sure you have the right customer relationship software that is tailored to your company and has the right price, capabilities and scalability to best suit your business needs. CONTACT STRATEGIX TODAY AND LET US POWER YOUR BUSINESS WITH CRM, RESULTING IN THE BREAK-THROUGH RESULTS YOU WANT AND NEED.